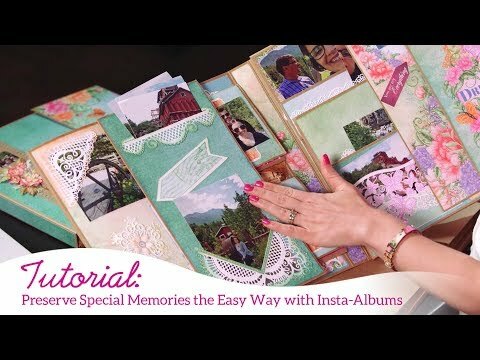 For more tips on creating with the 12 x12 Insta-Album, watch the tutorial at https://youtu.be/d5BIbbxA5u4. Instructions: Click here to view more photos of this album. 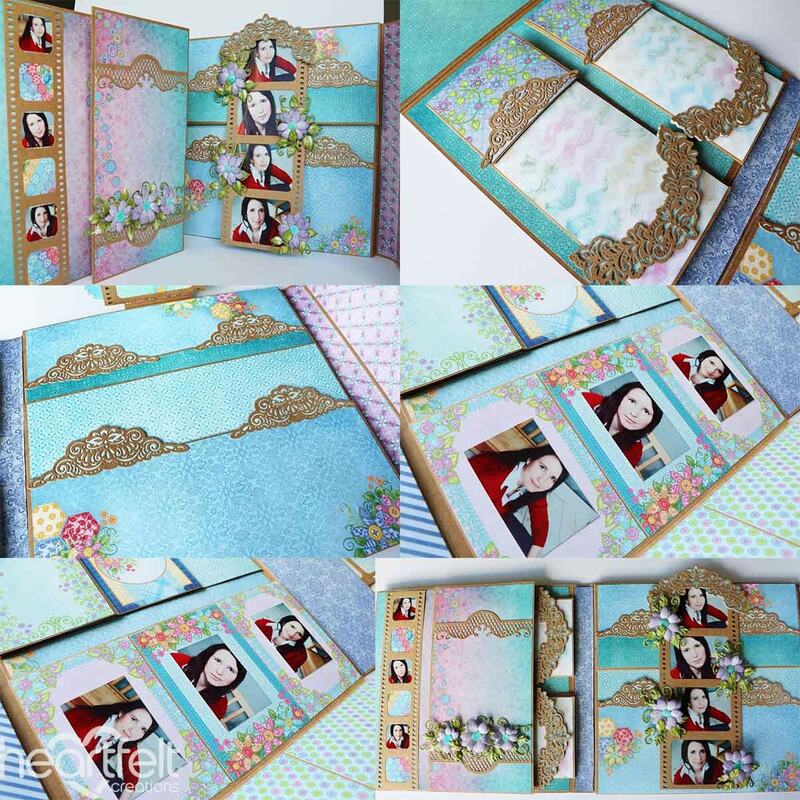 Cut all the papers to the size given on each page of the album and glue the papers into the album using Dries Clear Adhesive. 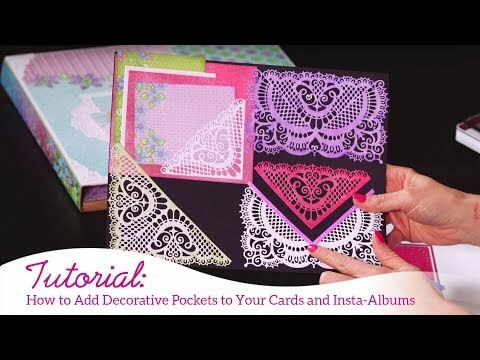 Cut all die cuts using Decorative Pocket Accents Die, Petite Pocket Accents Die, Elegant Pocket Accents Die, Ornate Pocket Accents Die from Kraft card a few times and decorate album as shown. Use an iron or heat gun to heat the petals and then shape using your fingers. Sponge the petals with dries clear adhesive and sprinkle with Ultrafine transparent glitter. Layer the petals together using the hot glue gun making sure to offset them. Heat up buttons. Use 3D lacquer on the top of buttons. Glue it buttons in the middle of flower. Add a little hot glue to the underside of the flower to adhere. Sponge the petals with dries clear adhesive and sprinkle with Crystal Ultrafine Transparent Glitter and Rajni Chawla's Crystal Clear glitter. Stamp the leaves using Leafy Accents Cling Stamp Set on the white paper with StazOn Ink Pad - Olive Green, cut out with the coordinating die, shade use this same ink and shape. 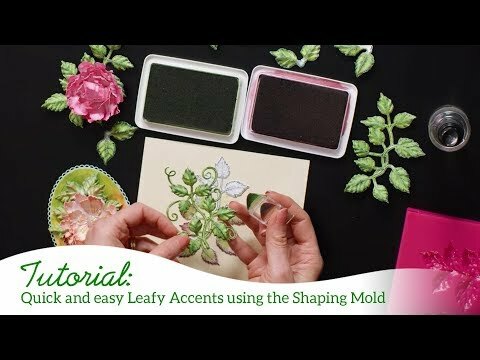 Shape leaves using Leafy Accents Shaping Mold. 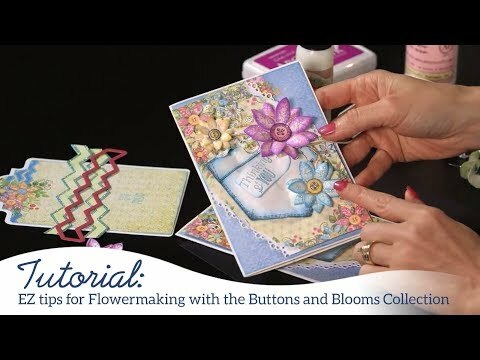 Adhere the flowers and leaves using a hot glue gun. Cut out sentiment from paper collection and add to card using 3d foam tape. Adhere the flowers and leaves using a hot glue gun.